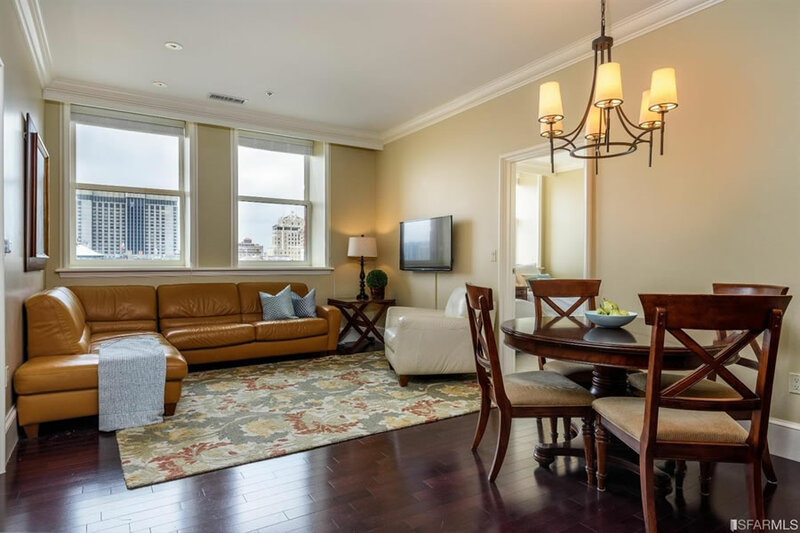 Purchased as new for $1.53 million, or roughly $1,284 per square foot, in early 2008, right as the Great Recession was picking up steam, the two-bedroom Ritz-Carlton Residences unit #1702 at 690 Market Street returned to the market in early 2015 priced at $1.75 million. 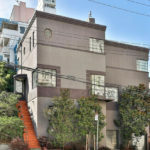 Reduced to $1.65 million and then withdrawn from the market for a year after being offered for rent at $8,500 a month, the condo was listed anew in 2017 with a $1.6 million price tag. 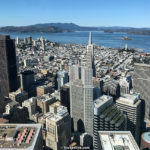 Reduced to $1.5 million this past July and then to $1.4 million in November, the list price for 690 Market Street #1702 has just been reduced again to $1.3 million, which is roughly $1,091 per square foot and 15 percent below the price which was paid for the unit in the first quarter of 2015 (not accounting for the value of the all furnishings which are now included in the sale price as well). 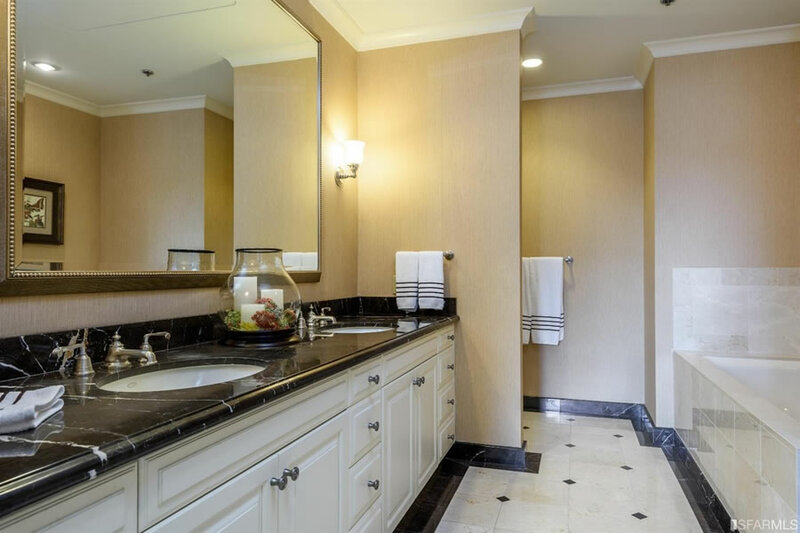 At the same time, the larger two-bedroom unit #2101 at 690 Market Street, which was purchased as new for $2.2 million in early 2008 and traded for $2.125 million in late 2014, remains on the market with a recently reduced $1.8 million list price (roughly 15 percent less than the unit fetched in 2014 on an apples-to-apples basis as well). Wow. This always seemed like a strange place to actually live. I guess it would make for a good pied a terre or maybe an AirBnB, but as an actual full time residence it just feels weird. (personal opinion, I realize). I love this building (the added tower on top inst the best but i don’t think its too bad) and think it would be a spectacular place to live. I personally wouldn’t buy a this one referenced in this article. I like having a yard and a little more space…but if I was a city dweller I think this location is spectacular. That price for that location in that nice building seems pretty good to me. 1.3M or 1100 per sq ft isn’t bad at all IMO if you are buying for the long term. If this drops another 10% to 1k per sq ft it would be a steal. dude, nothing with a monthly HOA of $2,771 / month is a steal! I wonder if there is any way for the owners to get together and do something about that HOA. Isn’t it intended to provide hotel-like services to all residents? It would clearly be cheaper to convert all remaining time shares to condos, get rid of “special” Ritz services, and get a more affordable HOA for all residents. Until that time, I have to imagine that the list of people wanting to buy here is rare. Perhaps the owners most influential in the HOA are the ones who enjoy and don’t mind paying for the hotel-like services. The building has a total of four units currently on the market. Is that a lot in a 52 unit luxury building (and thus an indicator that the pool of potential buyers is small)? I don’t know. Perhaps the nose-bleed HOA dues scare off people that the other owners feel really can’t afford the building and aren’t worth dealing with. I def agree this is one of the BA’s restoration/expansion project successes (a couple of nitpicks like the rustication not being carried down completely to the sidewalk, or not at all left of the entrance, notwithstanding). 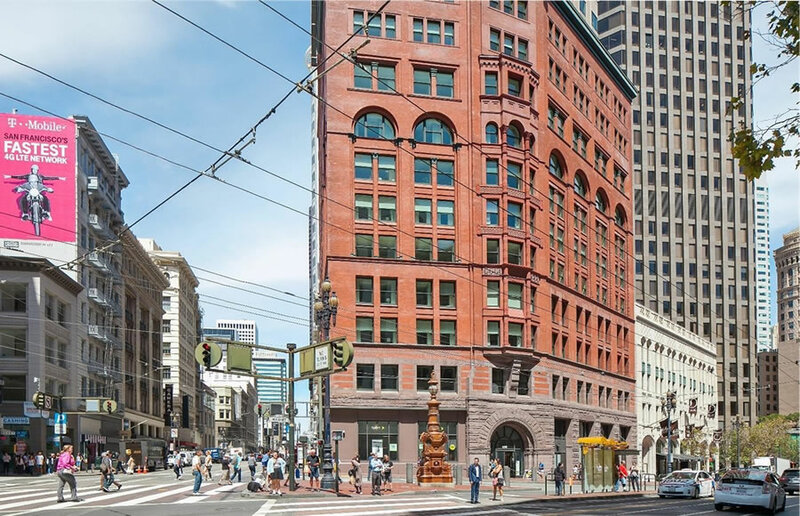 The addition seems awkward to me, mostly, because of the contrasting color…tho I think that may have been a requirement since additions to historical building are supposed to differentiate themselves from the original. The actual concept of a tower was of course one the Chronicle itself came up with when it put up the addition in 1905. I have a relative who rented one of these apartments through Ritz Carlton for a few days. He said it was only available to rent for certain time share owners of Marriot or Ritz properties. 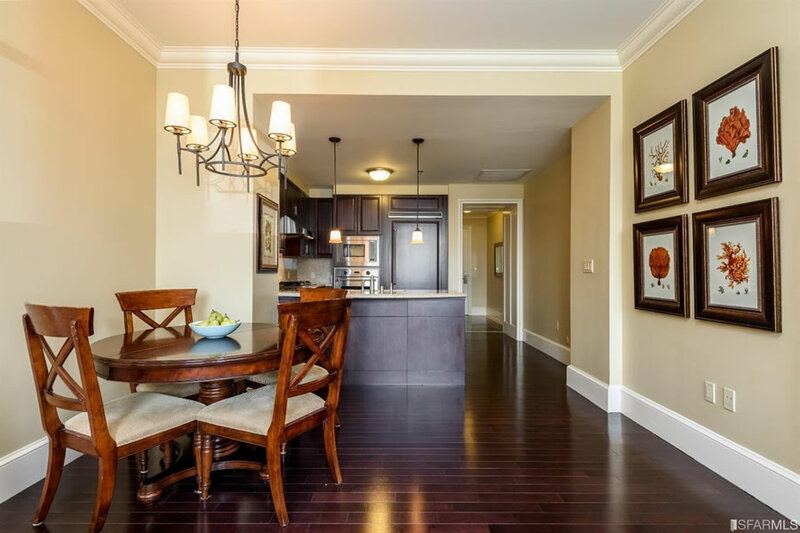 The lobby is nice – if that’s your thing – but the apartment is otherwise gloomy and bland inside. The interior decor is dated. I totally agree with you that this is not designed to be anyone’s full time residence. I don’t know how much money an owner can make by renting it through Ritz Carlton, but I assume it’s not enough to cover the HOA and the mortgage. When the Ritz-Carlton Club and Residences project was originally developed, adding eight stories to the old Chronicle Building and converting it to residential use, roughly half of the project’s 106 units were sold as condos with the other half designated as “hotel rooms,” structured as time-share units which could be sold and managed by the Club. The owners of the Club subsequently converted 24 of their 49 time-share units into full-fledged condos, which can be rented on the open market (note the asking rent we included above), as we reported a few years ago. It’s the $2,700+ HOA fee that’s stalling this sale. With the taxes and HOA fee, you’re out 50K a year just to own this place, even it you pay off the mortgage. it’s like hanging a financial noose around your neck. The current owners understand this all too well. Question for anyone who knows the answer – how can you find out loan information about a property as the editor above does in the ‘having been financed in 2008 with 30 percent down and a loan for $1,065,540, the loan is now a little over $100,000 past due with a remaining balance of $1,015,514 and a foreclosure auction looming’ segment? Is this public information and, if so, how can it be accessed? Deeds of trust and notices of default are public record and can be looked up at City Hall. There are also various services which provide the data sets as well. Does City Hall have a site to look this info up online? What a charmless place. 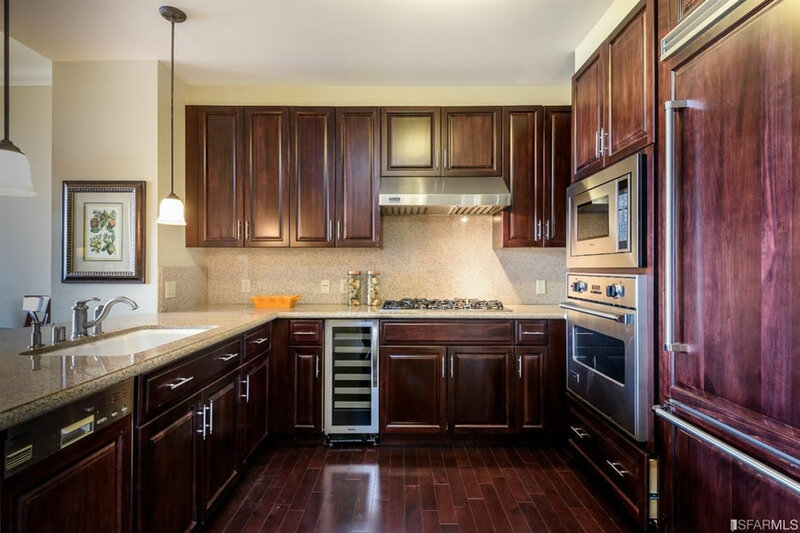 Low ceilings, cramped kitchen, small rooms. You left out small windows, and not that many of them. Yes, it lacks the windows of class and privilege that buyers in this price range expect. You might as well be looking out of a Motel 6 window. Perhaps that’s why the unit only fetched $1.53 million, or roughly $1,284 per square foot, in early 2008.
Who did not over pay in early 2008? Pretty much everyone who bought then overpaid. But only in due time was it revealed. It’s less a question of lack of view as it is lack of light. Poorly staged. The furniture looks dreary. Looks like the place wasn’t staged, it’s just the owner’s furniture. That couch is horrible. Looks like something i once bought on craigslist to put in my dorm room.